A-CHESS indicates Addiction–Comprehensive Health Enhancement Support System; GPS, Global Positioning System. Harwood HJ. Updating Estimates of the Economic Costs of Alcohol Abuse in the United States: Estimates, Update Methods, and Data. Bethesda, MD: National Institute on Alcohol Abuse and Alcoholism; 2000. Miller WR, Tonigan JS, Longabaugh R. The Drinker Inventory of Consequences (DrinC): An Instrument for Assessing Adverse Consequences of Alcohol Abuse: Test Manual (No. 95). Washington, DC: US Dept of Health and Human Services, Public Health Service, National Institutes of Health, National Institute on Alcohol Abuse and Alcoholism; 1995. Cohen J, Cohen P. Applied Multiple Regression/Correlation Analysis for the Behavioral Sciences. Hillsdale, NJ: Erlbaum; 1983. Importance Patients leaving residential treatment for alcohol use disorders are not typically offered evidence-based continuing care, although research suggests that continuing care is associated with better outcomes. A smartphone-based application could provide effective continuing care. Objective To determine whether patients leaving residential treatment for alcohol use disorders with a smartphone application to support recovery have fewer risky drinking days than control patients. Design, Setting, and Participants An unmasked randomized clinical trial involving 3 residential programs operated by 1 nonprofit treatment organization in the Midwestern United States and 2 residential programs operated by 1 nonprofit organization in the Northeastern United States. In total, 349 patients who met the criteria for DSM-IV alcohol dependence when they entered residential treatment were randomized to treatment as usual (n = 179) or treatment as usual plus a smartphone (n = 170) with the Addiction–Comprehensive Health Enhancement Support System (A-CHESS), an application designed to improve continuing care for alcohol use disorders. Interventions Treatment as usual varied across programs; none offered patients coordinated continuing care after discharge. A-CHESS provides monitoring, information, communication, and support services to patients, including ways for patients and counselors to stay in contact. The intervention and follow-up period lasted 8 and 4 months, respectively. Main Outcomes and Measures Risky drinking days—the number of days during which a patient’s drinking in a 2-hour period exceeded 4 standard drinks for men and 3 standard drinks for women, with standard drink defined as one that contains roughly 14 g of pure alcohol (12 oz of regular beer, 5 oz of wine, or 1.5 oz of distilled spirits). Patients were asked to report their risky drinking days in the previous 30 days on surveys taken 4, 8, and 12 months after discharge from residential treatment. Results For the 8 months of the intervention and 4 months of follow-up, patients in the A-CHESS group reported significantly fewer risky drinking days than did patients in the control group, with a mean of 1.39 vs 2.75 days (mean difference, 1.37; 95% CI, 0.46-2.27; P = .003). Conclusions and Relevance The findings suggest that a multifeatured smartphone application may have significant benefit to patients in continuing care for alcohol use disorders. Technology offers a way of providing continuing care for AUDs. A smartphone application could make recovery support, information, and monitoring available almost constantly. Compared with traditional care, technology can give personalized care while using less counselor time and be available at the moment of greatest need. This article describes a randomized clinical trial of a smartphone application called the Addiction–Comprehensive Health Enhancement Support System (A-CHESS), which was designed to improve continuing care for AUDs by offering emotional and instrumental support at almost any time and place.9 The theoretical basis of A-CHESS is self-determination theory, which posits that meeting 3 needs contributes to an individual’s adaptive functioning: being perceived as competent, feeling related to others, and feeling internally motivated and not coerced in one’s actions.10,11 Self-determination theory was chosen because evidence suggested that its 3 constructs could be causal mechanisms that would affect A-CHESS targets, and because self-determination theory is broad and fundamental enough to cover a complex, multifaceted eHealth intervention such as A-CHESS.12 This study reports the primary outcome from a trial that hypothesized that patients leaving residential care for AUDs who received treatment as usual plus a multifeatured smartphone application would have fewer risky drinking days over 12 months than patients receiving only treatment as usual. We also report on 2 secondary outcomes: abstinence and negative consequences of drinking. The A-CHESS study was an unmasked randomized clinical trial with 349 patients who met the criteria for DSM-IV alcohol dependence on entering treatment at 3 residential programs operated by 1 nonprofit treatment organization in the Midwestern United States and 2 programs operated by another nonprofit organization in the Northeastern United States. Patients had to be at least 18 years old, willing to be randomized, and able to identify 2 backup contacts—people who could provide information about how to reach the patient for 1 year. 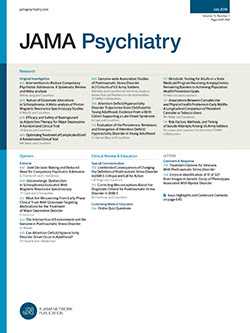 Patients were not approached to be recruited if their medical records showed a psychiatric or medical condition that would have precluded participating in the study (a history of suicidality, a significant developmental or cognitive impairment that would limit the ability to use A-CHESS, or vision problems). In the 3 Midwestern programs, residential treatment consisted of cognitive-behavioral therapy, motivational interviewing, and psychoeducation, conducted almost entirely in group therapy. In the 2 Northeastern programs, residential treatment consisted of group therapy (based on cognitive-behavioral therapy and psychoeducation), case management services, supportive individual counseling (based on motivational interviewing and cognitive-behavioral therapy), and 3 community Alcoholics Anonymous meetings per week. Onsite project coordinators (H.D. and S.M.C.) employed by each program identified eligible patients from the program’s administrative database. About 2 weeks before an eligible patient left residential treatment, the coordinator discussed the study with the patient, including procedures, data to be collected, and risks and benefits. Willing patients gave written informed consent and were enrolled. The coordinator then collected pretest data and contacted the project director to get a group assignment. Within each program, patients were randomized to the control group or A-CHESS in a 1:1 ratio using a computer-generated random allocation sequence with blocks of 8. Randomization was implemented using sequentially numbered containers. The study was approved by the institutional review board at the University of Wisconsin–Madison and registered at clinicaltrials.gov (NCT01003119). Patients in the control group received treatment as usual for 12 months; those in the A-CHESS group received treatment as usual plus a smartphone with the A-CHESS application for the 8-month intervention period and treatment as usual only during the 4-month follow-up. Recruitment took place from February 11, 2010, through June 30, 2011, and the intervention from February 11, 2010, through June 29, 2012. Recruitment ended 2 months early because it took less time than planned; accordingly, the intervention period started and stopped 2 months earlier than planned. At all residential treatment locations, counselors encouraged patients to receive continuing care, but such care was not required or monitored. Patients in the A-CHESS group received a smartphone with the A-CHESS application, mobile phone service, and a data plan. A-CHESS had both static content (eg, audio-guided relaxation) and interactive features. For example, if a patient neared a high-risk location (a bar she used to frequent), the Global Positioning System initiated an alert asking the patient if she wanted to be there. eTable 1 in the Supplement shows A-CHESS services; screenshots of A-CHESS are available at http://chess.wisc.edu/achess-archive/. Each patient using A-CHESS had a unique account. A-CHESS use data were automatically collected in time-stamped server log files, including when a patient accessed A-CHESS, the service(s) selected, duration of service use, pages viewed, and messages sent or received. Counselors could, with patient permission, access information about the patient’s A-CHESS use. Before leaving residential treatment, patients were required to demonstrate a minimal understanding of A-CHESS (ie, the ability to set up their profile and use the discussion board and texting features) and to have entered at least 2 people (who could be the same as or different from the 2 backup contacts) to be contacted if they pressed the application’s panic button. Patients were free to use the smartphones for personal purposes throughout the intervention. Only the use of A-CHESS services was monitored. Counselors were asked to treat study participants as they would normally provide care for a patient who had left residential treatment (ie, respond to patient-initiated requests for referrals or information but not offer counseling per se), although A-CHESS counselors received patient updates through the application. Patients in the A-CHESS group were asked each week to complete a reduced version of the Brief Addiction Monitor (BAM),13 which included protective and risky items related to drinking (such as lifestyle balance, quality of sleep, negative affect, and recent substance use) and displayed a patient’s results graphically over time. With a patient’s permission, A-CHESS automatically sent notifications to counselors if a BAM score exceeded a preset threshold or the BAM was not completed. During the intervention, patients completed 3751 weekly BAMs and shared 3637 (97.0%) of these with counselors. Patients were much more willing to share their BAM results (93.5% allowed this) than that they had had a lapse (41.9% allowed this). The time counselors spent responding to patients in the study was not tracked, although informal feedback suggested it was minimal. One counselor estimated she spent 2 hours per week to follow up with 120 patients. Researchers called patients to administer the outcome survey at 4, 8, and 12 months after discharge from treatment. The survey, which asked about risky drinking days, quality of life, treatment services received, and coping behavior, took 15 to 25 minutes to complete. If researchers’ calls and messages went unanswered, researchers called backup contacts. On average, 20 calls were required per patient to complete 3 telephone surveys. Risky drinking days were defined as days on which a patient’s drinking in a 2-hour period exceeded 4 standard drinks for men and 3 standard drinks for women, using the National Institute on Alcohol Abuse and Alcoholism definition of a standard drink as one containing roughly 14 g of pure alcohol (12 oz of regular beer, 5 oz of wine, or 1.5 oz of distilled spirits). Patients reported the number of risky drinking days they had in the previous 30 days. For abstinence, patients reported whether they had any drinks in the previous 30 days. Negative consequences of drinking came from the Short Inventory of Problems–Revised.15,16 This instrument has items rated on a 5-point Likert-type scale from “hardly ever” to “very likely.” We retained 4 of these items (not eating properly, hurting someone, having one’s status damaged, and having money problems), made 3 items dichotomous (losing a job, being arrested, and having an accident), and added 1 dichotomous item (involvement with the Department of Children and Family Services). Because of these departures from the established instrument, the 8 items were examined individually rather than as a single scale. Planned recruitment of 175 patients per group was estimated from the effect size (h = 0.34) observed in a telephone-based intervention,17 with α = .05, 80% power, and 20% attrition. The primary outcome, risky drinking days, was analyzed with mixed-effects models. These models account for correlated measurements within patients, use all available data (allowing for intention-to-treat rather than only complete-case analysis), and provide unbiased estimates when data are missing at random.18 Each model included a random effect for patient and fixed effects for treatment program (a design variable), intervention arm (A-CHESS vs control), month (4, 8, and 12 months), and arm-by-month interaction, using a first-order autoregressive covariance structure for the repeated measure of month. Secondary outcomes consisted of rating scales and dichotomous variables. Rating scales measuring negative consequences of drinking were analyzed with the mixed-effects approach used for the primary outcome. Abstinence and dichotomous negative consequences of drinking were analyzed using the Fisher exact test. All analyses were conducted with SPSS version 21 (SPSS, Inc) using a 2-sided α of .05. The Figure shows the flow of patients from initial screening through the end of the follow-up period, and Table 1 presents baseline characteristics of enrolled patients. Most patients were white (80.2%), male (60.7%), and unemployed (78.5%); most used or abused drugs in addition to alcohol (62.5%). Mean (SD) patient age was 38 (10) years (median, 39 years). Although 170 patients were randomized to the A-CHESS group, 286 smartphones were given to patients during the study because 116 smartphones were replaced: 56 did not work properly, 20 were stolen, 18 were damaged by patients, and 22 were lost. No patients withdrew from the study, although 21 in the control group and 14 in the A-CHESS group did not provide data for any of the 3 surveys. The rate of survey completion was not significantly different between groups (Figure). Patients were included in the analysis if they provided any outcome data according to the intention-to-treat principle. Patients in the A-CHESS group reported significantly fewer risky drinking days (Table 2) than patients in the control group for the intervention and follow-up periods (P = .003) and at months 4 (P = .02) and 12 (P = .03) but not month 8 (P = .10). The effects of program, month, and the group-by-month interaction were not significant (Ps = .54, .65, and .87, respectively). The results were consistent when all 2- and 3-way interactions were included in the model, with significant effects of A-CHESS overall (main effect; P = .003) and at months 4 and 12 (simple effects; Ps = .002 and .04) but not at month 8 (P = .26) or for any other factor or interaction (all Ps > .05). Examining only cases with complete risky-drinking-day data produced similar results (Table 2). Sensitivity analyses were conducted using 6 sets of values. The pattern of results changed only when missing risky-drinking-day data were replaced with the maximum possible value (eTable 2 in the Supplement). The odds of reporting abstinence in the previous 30 days (Table 3) were greater for A-CHESS than for control patients, with significant differences at months 8 and 12 (Ps = .04 and .02, respectively) but not at month 4 (P = .13). A-CHESS patients were also more likely than control patients to report abstinence at all 3 time points (P = .03). No significant differences were found between groups overall or by month for any of the negative consequences (not eating properly, hurting someone, having one’s status damaged, having financial problems, losing a job, being arrested, having an accident, or involvement with the Department of Children and Family Services). Patients reported so few of the dichotomous consequences that monthly comparisons between groups could not be made. Instead, a Fisher exact test was used to compare the proportion of patients in each group reporting the consequence at any time point. Patients in jail at the time of a survey were counted as having an arrest. A post hoc analysis examined the relationship between cumulative system use and number of risky drinking days. Cumulative system use was defined in 3 ways: number of pages viewed, number of days used, and number of services used. Each type of use was added separately to the primary analysis as a time-varying covariate. The number of risky drinking days was significantly predicted by the number of pages viewed (per 100 pages: B = 0.04; P = .01; 95% CI, –0.069 to –0.002) and days used (B = –0.01; P = .007; 95% CI, –0.02 to 0.00) but not the number of services used (B = –0.06; P = .47; 95% CI, –0.22 to 0.10). The effect of A-CHESS on posttreatment symptoms and consequences of alcohol dependence was further explored by replacing risky-drinking-day data from the primary analysis with the 10 individual BAM items and the composite BAM risk, protection, and overall scores as outcomes in separate models. Significant effects were found for the individual items of keeping busy and abstinence confidence, as well as for the BAM protection score (eTable 2 in the Supplement). Severity of AUD was not collected. The closest collected measure was patients’ baseline self-report of the number of previous times in treatment (mean [SD], 4.67 [9.15]; range, 0-50), which was not significant when included as a covariate in the primary analysis. We tested whether the relationship between the intervention and the number of risky drinking days was mediated by the 3 constructs of self-determination theory. Perceived competence, relatedness, and autonomous motivation were measured using modified versions of the Drug-Taking Confidence Questionnaire, the Important People Survey, and the Treatment Self-Regulation Questionnaire, respectively. Mediation was examined using the Test for Joint Significance,20 which requires a significant relationship between (1) the intervention and potential mediator (path a) and (2) the outcome and the potential mediator, controlling for intervention (path b). Of the 3 constructs, only perceived competence at 4 months mediated the relationship between intervention and number of risky drinking days at 8 months (path: B [95% CI], P value) (a: 0.219 [0.004 to 0.434], P = .046; b: –0.969 [1.650 to –0.289], P = .005). In this randomized clinical trial, patients reported their drinking-related behavior for the past 30 days at 4, 8, and 12 months following residential treatment. Patients who received treatment as usual plus A-CHESS reported a lower mean number of risky drinking days (1.39 vs 2.75; P = .003) and a higher likelihood of consistent abstinence (51.9% vs 39.6%; P = .03) than patients who received only treatment as usual, but no difference in the negative consequences of drinking. One of self-determination theory’s 3 constructs (competence) was a significant mediator. We have observed in past work that context seems to influence which constructs are most salient. For example, relatedness was the only construct that significantly mediated the relationship between another CHESS intervention—one for parents of pediatric patients with asthma—perhaps because children’s medication adherence requires that parents receive considerable social support.21 It may be that recovery from addiction is such a complex process that building competence is more important than in asthma control. The literature supports the effectiveness of continuing care in improving outcomes for AUDs,22 as well as for computer-based interventions for AUDs.23-27 Although high-quality studies have been published about computer-based interventions for continuing care of other chronic illnesses (eg, type 2 diabetes mellitus and heart disease), they are rare for AUDs.28 To our knowledge, no other large randomized clinical trial has reported the effectiveness of smartphone technology for the continuing care of patients with AUDs. The study has limitations. Patients in the treatment group received a smartphone while those in the control group did not, and the application included a weekly self-assessment, possibly producing an assessment effect31 and more counselor contact than for those in the control group. The study involved only patient self-report, without urine testing, and each survey asked about drinking only in the past 30 days, which does not capture a complete picture of each patient’s drinking and can underestimate or overestimate drinking behavior. Using the standard Short Inventory of Problems–Revised or a similar assessment would have allowed comparisons to other trials. The study involved only 2 nonprofit organizations that operated 5 treatment programs, and most patients were white men in their 30s and 40s. A test involving more programs, greater control over the types of continuing care patients received, and more diverse populations is needed to confirm our results and increase their generalizability. Furthermore, a longer intervention period may be merited, given that patients have a chronic disease. Whether smartphones will be practical as continuing care of AUDs depends in part on the cost and whether it will be reimbursed. In this study, 8 months of A-CHESS cost about $597 per patient, based on 1 hour per month of counselor time at $90 per hour divided by 50 patients, 1 hour per month for system administrator time at $50 per hour divided by 170 patients, $60 per month for each data plan, and $100 to buy each smartphone. The cost of interventions such as A-CHESS will decrease dramatically as more people have smartphones and data plans of their own, although low-income patients may be less likely to have them. If other studies confirm our results, such applications could provide the type of care identified as most effective—that is, care that continues at least 12 months and involves proactive efforts to change patient behaviors.32 The Patient Protection and Affordable Care Act emphasizes (via accountable care organizations) a single payment for a defined population, with a reward for good outcomes. An A-CHESS–like system may be economically viable under these rules, especially if reductions in other health care costs offset the expense of smartphones and data plans. Thousands of health care applications for smartphones are available, with more appearing every day, but very few have been tested rigorously. The undertreatment of AUDs and the severity of problems associated with AUDs make it critical to develop applications that work. The promising results of this trial in continuing care for AUDs point to the possible value of a smartphone intervention for treating AUDs and perhaps other chronic illnesses. Submitted for Publication: May 8, 2013; final revision received December 17, 2013; accepted December 19, 2013. Corresponding Author: David H. Gustafson, PhD, Center for Health Enhancement Systems Studies, College of Engineering, University of Wisconsin–Madison, 1513 University Ave, Madison, WI 53706 (dhgustaf@wisc.edu). Published Online: March 26, 2014. doi:10.1001/jamapsychiatry.2013.4642. Author Contributions: Dr Gustafson had full access to all the data in the study and takes responsibility for the integrity of the data and the accuracy of the data analysis. Study concept and design: Gustafson, McTavish, Isham. Drafting of the manuscript: Gustafson, McTavish, Atwood, Johnson. Statistical analysis: Gustafson, Chih, Atwood. Administrative, technical, or material support: Gustafson, McTavish, Johnson, Boyle, Levy, Driscoll, Chisholm, Dillenburg, Isham. Funding/Support: This study was supported by grant R01 AA017192 from the National Institute on Alcohol Abuse and Alcoholism. Role of the Sponsors: The funding source had no role in the design and conduct of the study; collection, management, analysis, or interpretation of the data; preparation, review, or approval of the manuscript; and decision to submit the manuscript for publication. Additional Contributions: Timothy B. Baker, PhD, from the University of Wisconsin School of Medicine and Public Health, provided conceptual and design advice. Adam Maus, MS, from the Center for Health Enhancement Systems Studies, provided development work on A-CHESS.